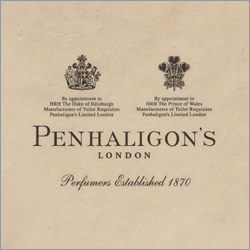 Founded in 1870, Penhaligon's is one of the few true fragrance houses in the world. Only fine and rare ingredients are used, such as hand-squeezed oil of bergamot and jasmine oil at twice the price of gold. The Penhaligon's library of fine fragrances counts unique fragrance notes; from the beguiling Bluebell to the citrus fizz of Blenheim Bouquet. 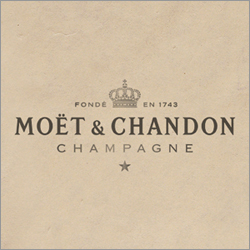 Moët & Chandon is the world's leading champagne house since its foundation in 1743. From the vineyards to the world's most exclusive events, sharing the magic of champagne with the world is the quintessence of Moët & Chandon. Zubrowka is a premium Polish rye vodka with a unique aromatic taste derived from the addition of an essence of bison grass which creates a golden-olive colour and a fresh herbaceous taste. Each bottle of Zubrowka contains a single blade of bison grass, which is added by hand. This touch of nature is a mark of its true authenticity. 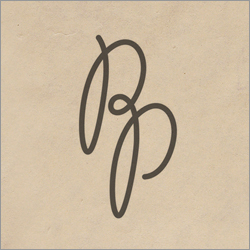 Pushkin Press publishes novels, essays, memoirs, children's books, and represents exciting, high-quality writing from around the world. The world's most notable writers are at home in this unique publishing house.